I grew up essentially playing one golf course (Saticoy Country Club) for the first 15 years of my golfing life. Then, when I no longer qualified under my father's golf membership, I branched out into the world of other courses. This helped spur my desire to play golf when I went on vacations. After having played about 50 golf courses, my love to compare rankings with friends created the idea of the Golf Top 18 and we maintained an informal list that we would update and discuss once a year or so. At its inception, the Top 18 was limited mostly to courses in Southern California, with a few others mixed in, and definitely wasn't a list that the general golfing public could relate to in any shape or form. Over a decade later, this ranking now means a little more (the top 5% of courses I have played) and includes several courses that show up on official rankings in the golfing world, even if my take on them or ranking order is a bit different. Below is that list, which I will update from time to time when it gets shaken up or a new course gets added. I have ranked my favorite golf courses, pure and simple, based on nothing more quantitative than a deep personal belief. Of course factors like great holes, beauty and challenge play their role, but the overall ranking reflects my total experience, not the opinion of the masses or even the experts about that course. Each course within the ranking has a little information on that course, including my best score from a given tee box, just for an added personal touch. For more full detail, go to the golf course guide for each course, as linked below. Course Comments: This is the greatest links course I have played. While living in Europe for the better part of two years, I made two trips to Scotland and two to Ireland, playing about a dozen courses altogether, and this one takes the cake. The first 14 holes are perfectly strung together from a golf architecture point of view. They flow beautifully and offer nearly every type of hole / shot in the bag. Only the tee shot at 15, the approach at 16 and the 17th hole show any weakness on the golf course. Maybe I am biased because my experience on the links was exactly what the man behind the pro shop counter said when I checked in, "the absolute perfect day to play golf in the most perfect place to play it", but the course seemed fair and challenging at the same time, and nearly every hole was beautiful and designed in a pure links style. 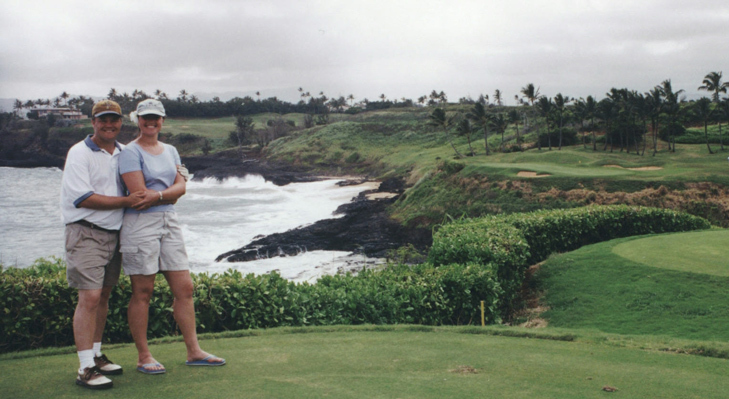 Course Comments: The best of what makes Hawaiian golf great is all captured on this fantastic Jack Nicklaus design. A great mix of jungle holes, lake holes with palm trees, and ocean holes along the Pacific with unbeatable views, make this one of the most exciting courses on earth, with the last 6 holes providing a real adrenaline-based treat for any golfer. 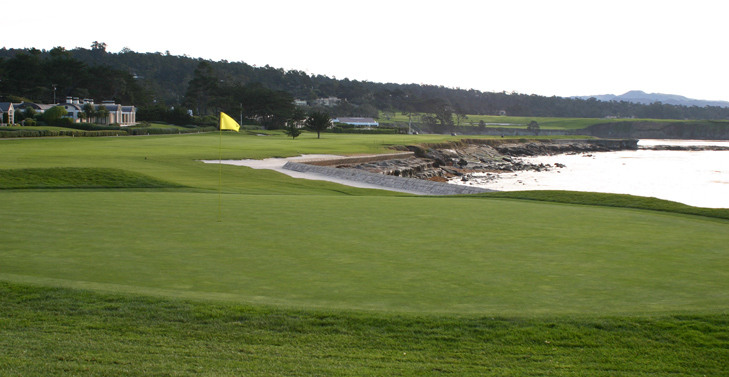 Redesigned in 2012 from its former routing, most of the course stayed the same with one extra hole on the ocean. 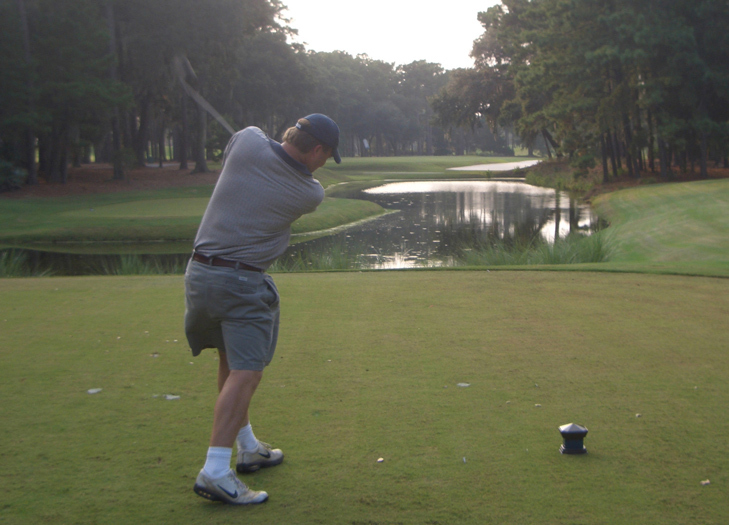 Course Comments: Dunes, marsh, trees, plentiful ocean views & the occasional deer make this an awesome golfing experience from first tee to last green (and if the round is completed near sunset, said ending includes a bagpipe player near the posh clubhouse / Inn). The course almost has a links-style feel to it, as the greens are close to the largest and toughest I've ever played, complete with tiers, putting a premium on the short game. Although no one hole stands out from the rest, the hole variance throughout the round requires the golfer to bring many different types of shots, and allows the golfer to experience those shots in a wide variety of scenery, all exquisite. This means it retains some links quality but adds a flavor all its own, unique to Spanish Bay, which I love. 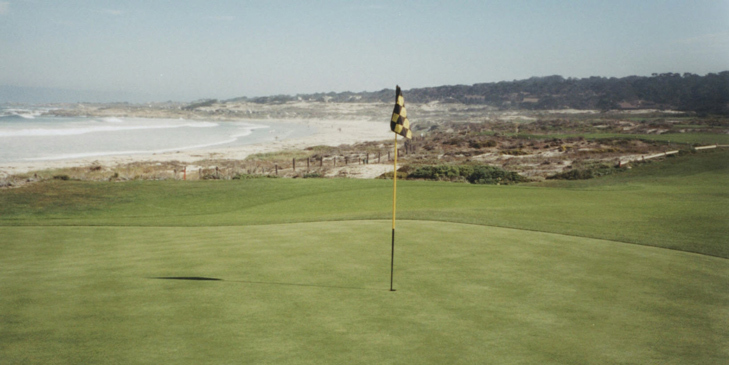 The course, while still expensive, is a far cry from the cost of Pebble Beach and is worth playing on any trip to Monterey. 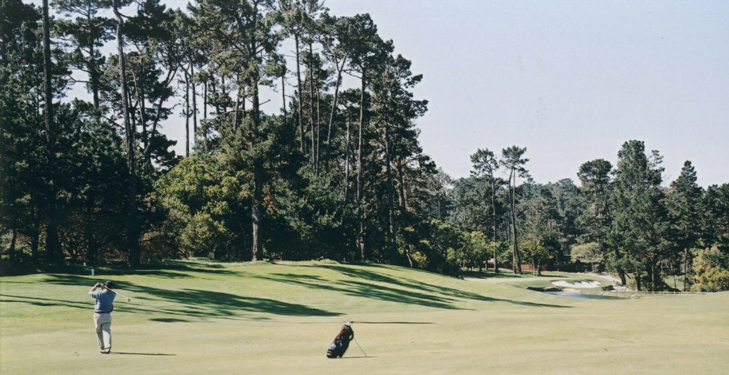 Course Comments: It is no secret that of all the courses the pros play on the Monterey Peninsula during their official event, that Spyglass Hill is the most difficult, and this holds very true for the average golfer. After a fantastic long par 5 that starts in the woods and meanders its way down to a green near the dunes, the course continues to evoke links golf on holes 2-5, where the best views can be soaked in, and the best scores are to be had, unless the wind is blowing strong. It then turns into a tight, tree-lined affair, with strategic water hazards thrown in for sadistic "fun". This combination makes the course beautiful, dynamic and very difficult. If the bunkers, ice plant, trees or water don't get you, the greens with their small size and severe slopes will. 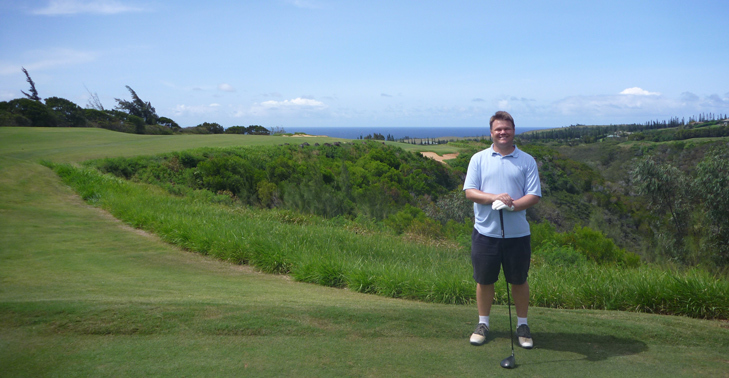 Course Comments: The mad beast of Kauai golf features jungle and forced carries everywhere. The course is undeniably difficult, but unexplicably fun in being so, even if one's score rises quickly. There are only 3 holes on this course that don't make this golfer nervous on at least one shot, and that assumes the absence of the usual strong afternoon trade winds, which makes even those holes a little more frightening. It's also not often the golfer can see waterfalls both on and off the course, but the Prince can offer the fortunate golfer this luxury on the beautiful north shore of Kauai. Course Comments: A huge, sweeping course with mammoth elevation changes and superb views of the Pacific Ocean and neighboring island Molokai defines the character of the Plantation course. Home to the first true event of every PGA tour calendar year, even the pros have trouble from time to time when the winds blow, especially trying to negotiate a slew of shots over the junk to greens way above or below them. The plantation grasses make the course very tough, but it stays fair and fun with wide fairways and large greens; those greens just happen to be tough to putt, and golfer must pay attention to the grain. Overall, there are plenty of fantastic holes to enjoy on this unique golf course. Course Comments: The top 10 mainstay of many official magazine "best of" lists deserves the hype it is given. Having played plenty of ocean-side courses in Scotland and Ireland, the claim that Pacific Dunes (and its other Bandon brothers) is British Isles golf brought to America is fairly accurate. Adding to the allure is the overall Bandon experience, which I contend is the perfect guy (I can't speak for girls) golf getaway in America. Being in a town far from everywhere with nothing to do but golf, eat good food, drink a lot, gamble or otherwise just hang out, is really embodied at Bandon. The Pacific Dunes course itself is the best offering in the complex and has a wonderful array of memorable holes ranging from those along the cliffs near huge sand dunes, to some flirting with forest patches, and a ton surrounded by gorse. 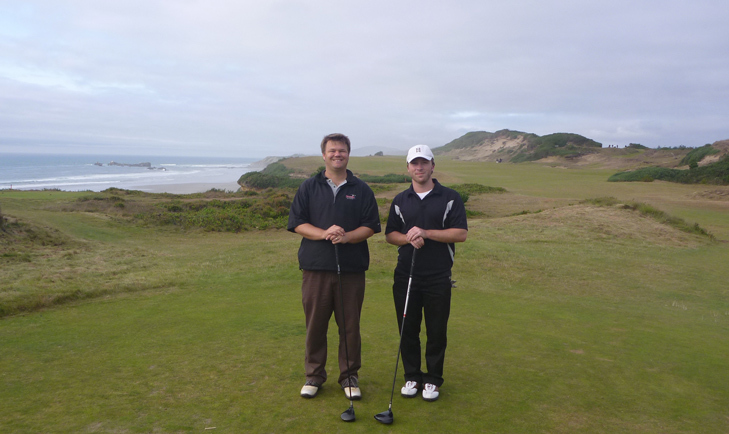 The golfer can't let the shortness of the course fool them, as between the clever design, quick greens and the usual punishing Oregon coastal wind, this course is plenty tough and very memorable fro start to finish. Course Comments: This course has been featured on the Top 100 courses in the world and was the first course in Mexico to receive such honors. A classic Jack Nicklaus design, there are many tee shots that seem wide, but the green complexes require tee shots to be on the correct side of the fairway. Of course, there are a couple of tight holes thrown in here as well, along with two separate trips (one on each nine) down to the sandy and rocky beaches of the Sea of Cortez with six greens sitting on or very close to the water. The combination of a desert and ocean course is unique and stunning. Course Comments: The majority of serious golfers are familiar with, and would be happy to play, one of the most famous venues on the PGA tour, and I agree that they should. Everybody knows the terror that is the island green of the 17th (although I swear it is smaller in real life than it even seems on television). However, the truth is that TPC Sawgrass is the most brutal driving course in all the world from start to finish. Nearly every hole requires a decent drive to avoid some form of penal hazard, but also requires true perfection to find the correct half of the fairway to set up any hope to get close to the pin. This is because of the small and wonderfully crafted green complexes. Seemingly benign, a slightly misplaced approach will leave the golfer just enough trouble or difficulty to jeopardize the score they want. Thus, although tough, it is fair in it's demanding cruelty and retains a very real sense of having fun, even if the score isn't low. 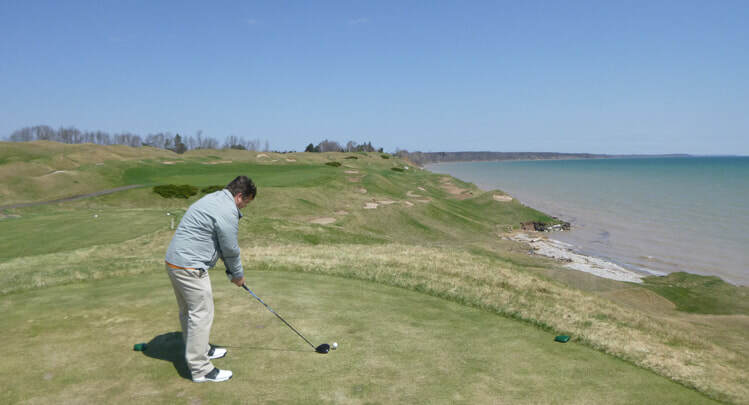 Course Comments: This multiple major tournament hosting venue oozes Pete Dye's design features throughout its manufactured dune-scape confines, with other 1,000 bunkers and almost continuous views of Lake Michigan's western shores. Definitely one of the finest public golf courses in America; the challenge of each shot is put right in the face of the golfer, whether it be deep bunkers, greens nestled next to the lake or strategic shot making choices and the lineup of great holes is unrelenting, with memorable shots at every turn. The greens are relatively negotiable, if the player can just get on the putting surface as quickly as possible. 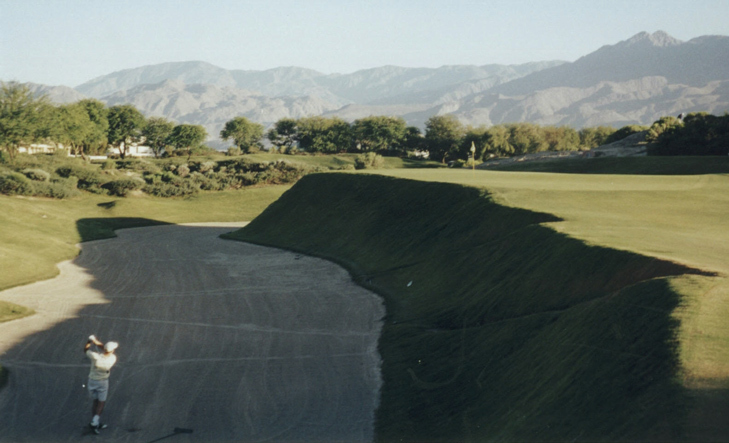 Course Comments: Essentially Pete Dye's west coast counterpart to TPC Sawgrass, but on steriods, this course is nasty beyond belief, as evidenced by the name of many of its holes: Amen, Black Hole, San Andreas and Alcatraz, to name a few of the best. This course was long before courses were this long and it is a little more tricked out, with many of the famous Dye gimmicks all one one ridiculously hard course. The greens, however, if they can be reached, are generally quite tame, so putting is the one area that is not an issue. For the golfer that doesn't mind getting beat up by a course, but feeling excitement along the way and the satisfaction of mastering at least one or two of these devilish holes, this course is a blast. Recently, the pros came back here to test their skills and the course still held up pretty well. 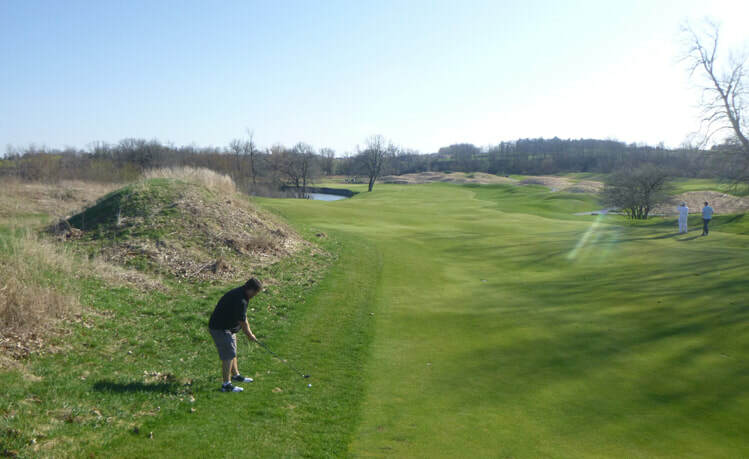 Course Comments: ﻿﻿﻿﻿﻿This Pete Dye design golf course is heralded as one of the better public golf courses in America; with the Sheboygan River a constant threat, along with thick trees, lakes or railroad tie lined hazards when needed, this golf course is as challenging as it is beautiful. I don't normally focus on clubhouses, but the lodge here is also quite stunning, with good food and views of the finishing holes on both this golf course and the Meadow Valley course as well. Course Comments: This course plays host to a televised celebrity tournament every year that brings in the best athletes and actors who also golf. Why? 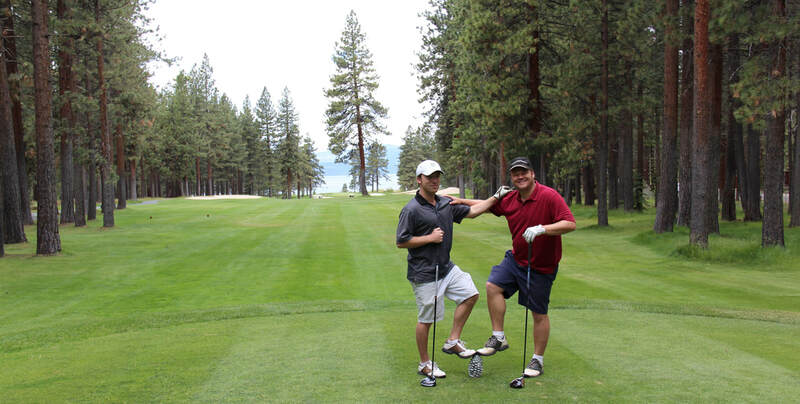 Because it is a fantastic course on the shores of stunning Lake Tahoe, very close to the large south shore casinos. The course itself utilizes a great mix of tight wooded holes and more open feeling meadow holes, usually accompanied by water. This then culminates with the last few holes near the lake itself (it would take a Charles Barkley type shot to actually hit a ball in Lake Tahoe though). The views of the surrounding mountains and great Lake Tahoe nature are plentiful. 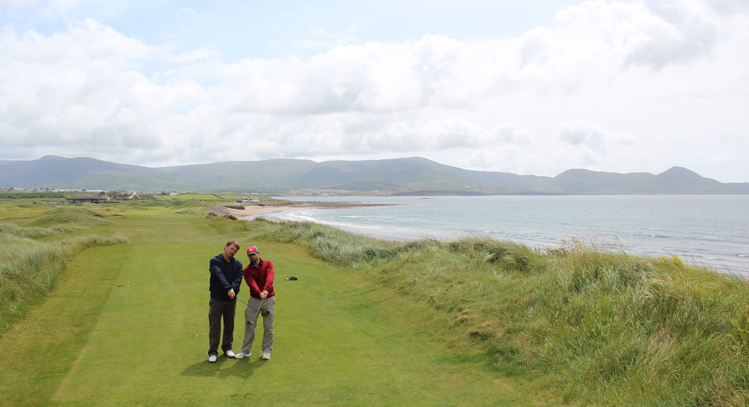 Course Comments: ﻿﻿﻿﻿﻿This great links is set on a peninsula of dunes-laden glory ringed on three sides with water and on four sides with outstanding views Away from even the town bearing its name, it is a windswept and remote feeling masterpiece of links design at the south end of the Ring of Kerry. The challenge is stiff on most holes with only great shots being rewarded and mediocrity being punished. 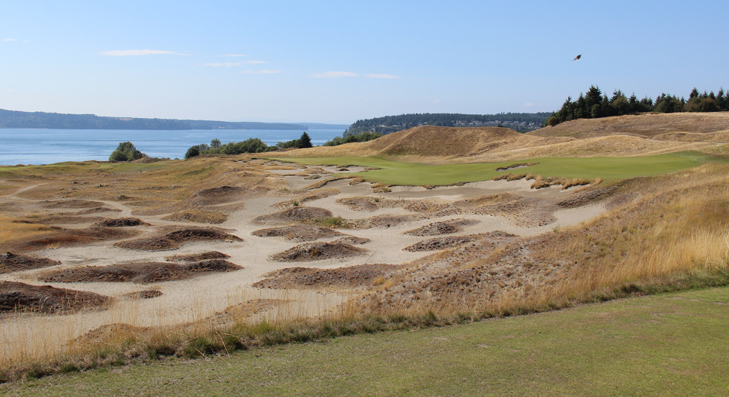 Course Comments: Site of the 2015 U.S. Open (and a much better course than reflected by the tricked out set up that the USGA screwed up on), this golf course is very tough, but features ocean views on every hole to soften the pummeling the golfer is likely taking. Fairly hilly, there are a lot of undulations in the fairways and, more importantly, around the greens that the player needs to take heed and, if possible, advantage of. Getting the ball next to the pin doesn't always involve hitting it there and ingenuity is rewarded. Staying out of the numerous bunkers is also critical to scoring well. 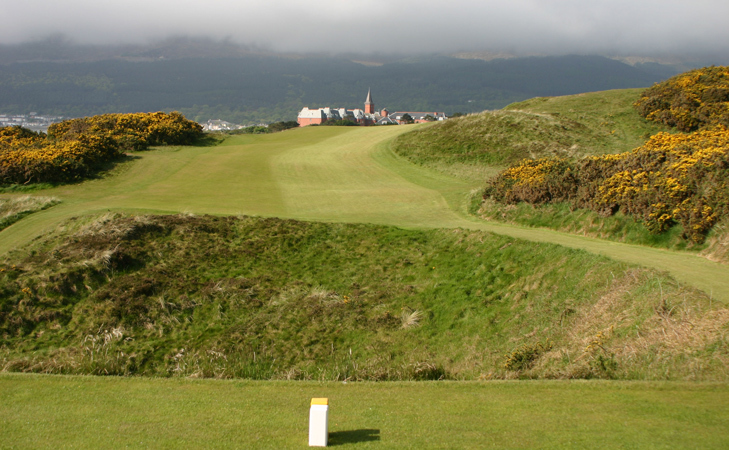 Course Comments: Considered by many official golf rankings to be one of the best courses in the world, the Ailsa is a wonderful links course, with probably the most consistently strategic set of bunkers of any course I've played. Beyond the thoughtful overall design, the stretch of holes from 8-10, swinging around the famous Lighthouse is quite a unique and glorious golfing experience. The history of the Open Championships, including Tom Watson beating out Jack Nicklaus in the Duel in the Sun in 1977, and then losing to Stuart Cink in a playoff 32 years later adds to the emotion of the golfing experience. It also gets the award for having the best hotel / golf combination I've ever experienced, but it comes at a heavy financial cost for those wanting to try it. 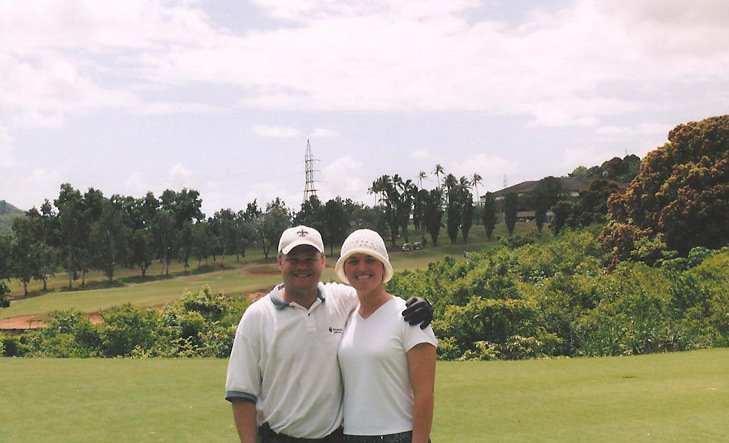 Course Comments: The only course I've played in Oahu (after I played it once, I had to forsake all other golfing pursuits for a second encounter) was also once dubbed the toughest course in the world, and had a 162 slope (that wasn't even technically allowable). Since then, it has been been tamed a bit, but only slightly. There is still jungle death everywhere and to make matters worse, if the driving and approach shot nightmares can be avoided, most of the greens have tiers, making even putting critical. 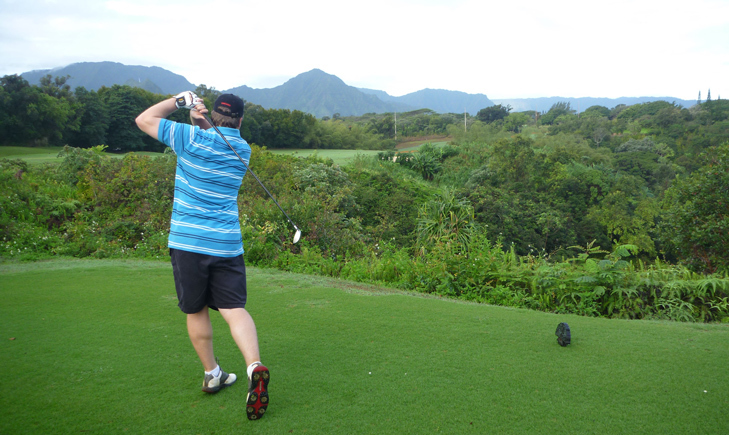 The location under the Ko'olau mountain range is truly amazing and some holes still even have ocean views. My piece of advice for the golfer is to heed the course's warning that whatever the handicap the golfer has, expect to lose that many golf balls.